Look as suave as Bruce Wayne himself! 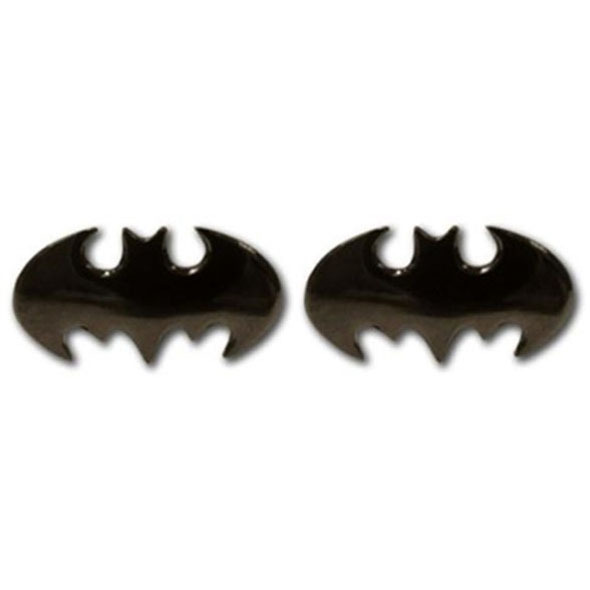 Not entirely unlike the bat-shaped throwing stars (or 'Batarangs' - see video below) that the Caped Crusader keeps in his utility belt, these stylish Bat Cufflinks are the ultimate fashion accessory for smartly-dressed comic book fans. The cufflinks look great, and having a bat on each wrist is great for keeping the weekday blues at bay. These Batman cufflinks make great gifts for Dark Knight fans who frequently wear smart clothes. And if you're a Dark Knight fan, feel free to get a pair for yourself - you're sure to look super-suave with these babies on your wrists! These Bat Cufflinks look similar to Batman's infamous 'Batarangs'!